Jussie Smollett is facing some serious charges for allegedly filing a false statement. 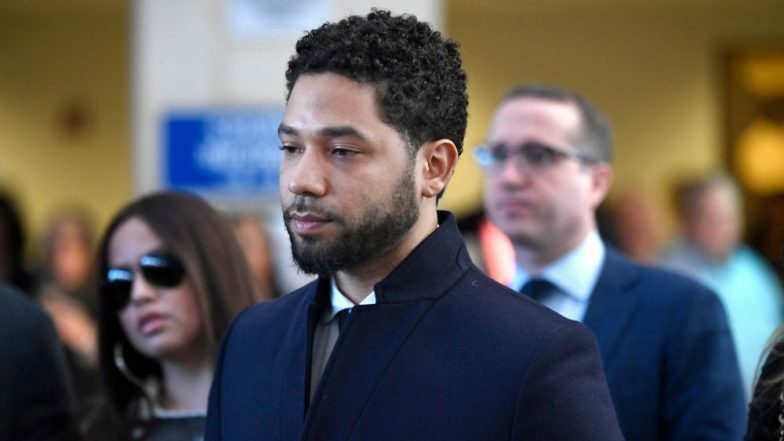 The legal trouble seems to keep piling on over Smollett as more suits have found its way towards the Empire actor. As per a report receeived by E! News, the City of Chicago has filed a civil complaint against Jussie Smollett. The documents further state that the city is formally requesting $100,000 in overtime pay that the city had to face duee to the Defendant's flase statemments. City of Chicago's rep, Bill McCaffrey quoted, "The Law Department has filed a civil complaint against Mr. Smollett in the Circuit Court of Cook County that pursues the full measure of damages allowed under the false statements ordinance." The complaint is further supported by evidence received from the stateemeents shared by the Osundairo brrothers, who Jussie accused of allegedly attacking him. The City of Chicago has further sent the actor a letter requesting him to pay a sum of $130,106.15. The letter claims, "Ultimately, the Chicago police investigation revealed that you knowingly filed a false police report and had in fact orchestrated your own attack." Jussie continues to deny the reports that he fabricateed the allegations of racial attack. The Cook County State's Attorney's office quoted to E! News, "After reviewing all of the facts and circumstances of the case, including Mr. Smollett's volunteer service in the community and agreement to forfeit his bond to the City of Chicago, we believe this outcome is a just disposition and appropriate resolution to this case."